I’m going to start to call the new ’12 F1 cars that have the taper-nose, ‘Duckbills’. That being said, I don’t think that they look too terrible when they’re moving on track! I’m super excited for the 2012 F1 season to get started. I love the testing season, because it’s like Christmas for Formula 1 fans! New cars, and everyone is happy and excited for the new year. I’m not sure how much time I’m going to have to work on the ‘Fantasy F1’ season that I planned for, but the racing will be exciting nonetheless. 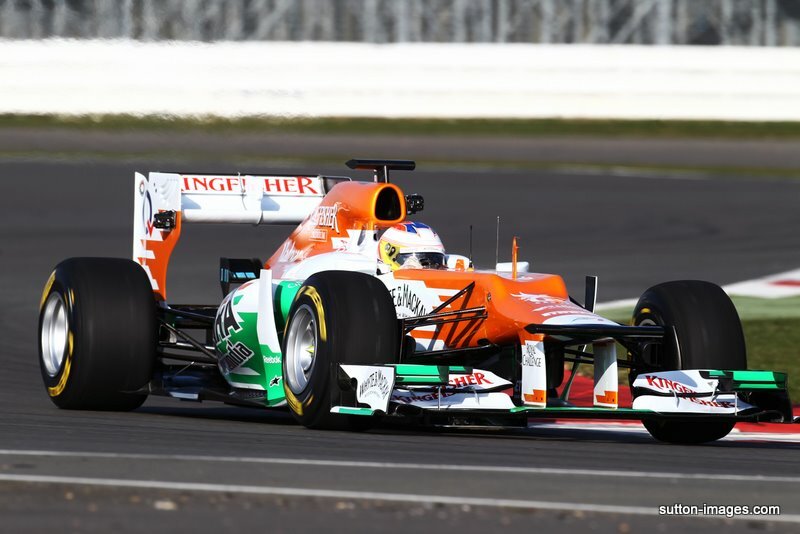 This entry was posted in Formula 1 and tagged Duckbilled, Force India, VMJ-05. Bookmark the permalink. Wow great info.This info will come in handy…i like your Blog.